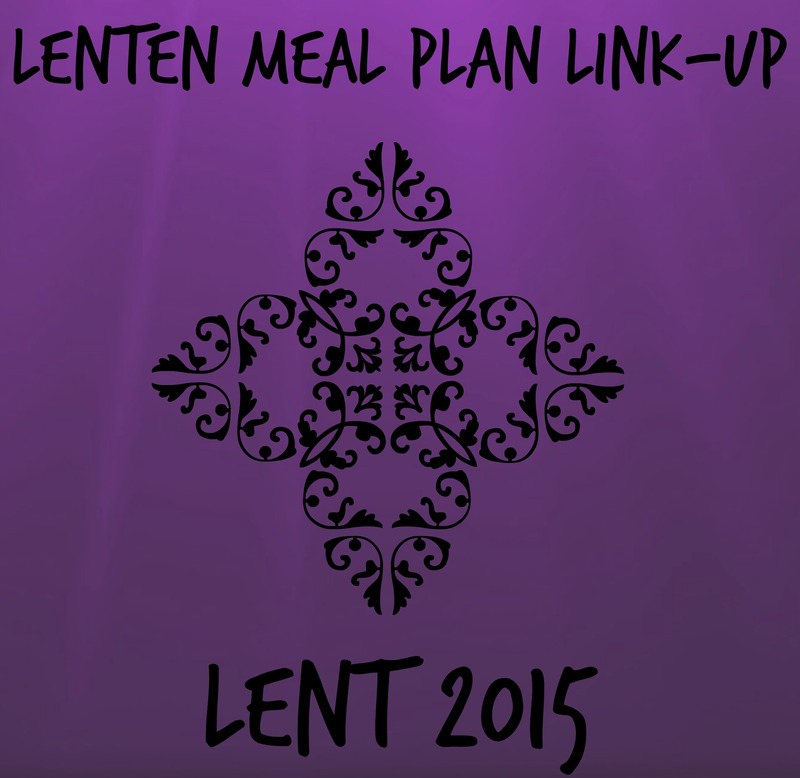 Welcome to the 2015 Lenten Meal Plan Link-Up!! This is my 4th year to do this link-up. In internet time that is ancient! 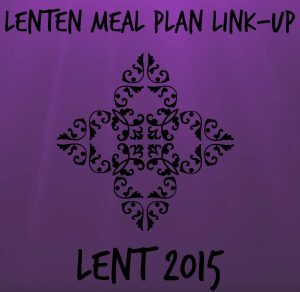 Every year this Link-Up becomes really popular as we all try and navigate Lent and the meals we need to prepare. This year we will have a different blogger host each week. As the weeks go on I will introduce them in my post. 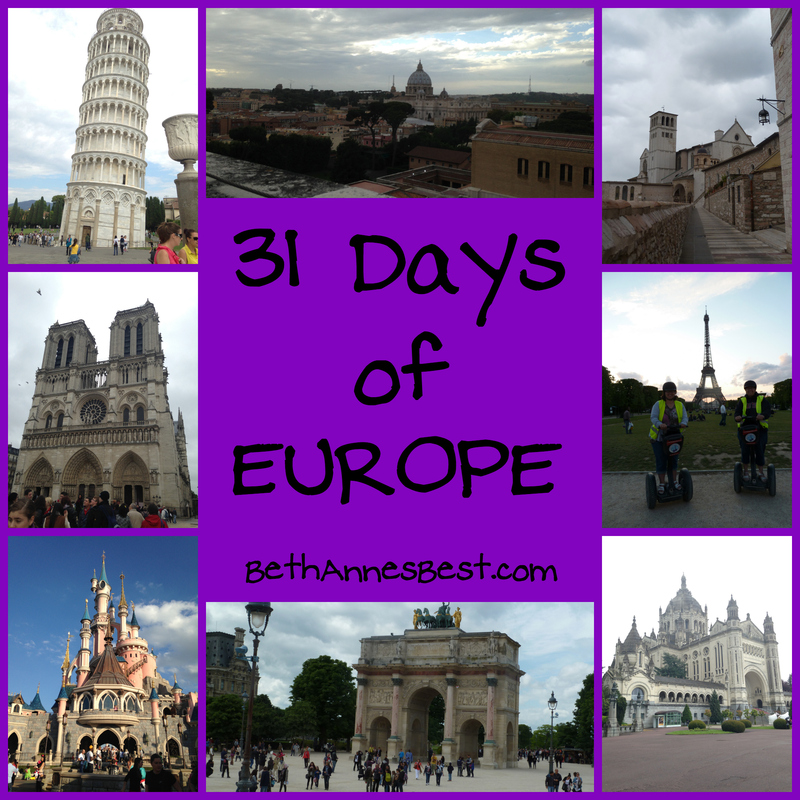 Each week I will be sharing a recipe round-up and share what I ate the week. I always call the first week of Lent the MARATHON week since we have to abstain from meat on both Ash Wednesday and the following Friday. This year my BIRTHDAY is on a Friday during Lent. I am sure my birthday will consist of eating seafood of some kind. Tortellini Salad – I LOVE Tortellini. I have never had it as a salad and this recipe sounds delicious. You can also put them in soups and pastas. No-Boil Crockpot Baked Ziti – Since I am Italian many of my go-to Recipes are Italian. At the beginning of Lent I LOVE them! But as Easter gets closer I usually tire of the same old recipes and look for something new. This Baked Ziti recipe looks really good plus it’s easy to make in your crockpot! Crispy Halibut with Thousand Island Sauce – Seafood is a good way to change things up during Lent. Fish always goes on sale at the grocery store around here and this is a good Halibut recipe to try. Greek Salad Rolls – I visited Greece last May and the food was DELICIOUS. Actually the food was one of the best parts of that entire trip. I never ate Greek food much before the trip and I find I now crave it. This Greek Salad Roll looks like a great Greek recipe for me to try this Lent. Yellow Rice, Black Bean & Pepper Recipe – This is Becky’s FAVORITE RECIPE EVER! I don’t blame her it looks delicious! I love rice and have been known to eat it as a whole meal or for a snack. I am definitely going to have to try this sometime during Lent. Frittata – I don’t know that I have ever had a Frittata before but it looks similar to a quiche and pretty simple to make. This recipe is good if you haven’t gone grocery shopping as you can mix and match the items you have on hand. Just make sure to leave out the optional sausage and bacon for your Lenten Sacrifice. Black Bean Cakes – Great alternative to satisfy your burger craving on Fridays. I always seem to want a Burger on Fridays. Slow Cooker Vegan Barley Stew – The slow cooker is going to get a lot of use this Lent with all these awesome Slow Cooker Recipes! Soups are great to have during Lent with Grilled Cheese for a simple meal. Acorn Squash Gnocchi – This looks like a delicious vegetarian pasta recipe. I don’t know that I have ever tried Gnocchi but this looks like a great recipe! She also has a Potato and Spinach Gnocchi that looks equally as good! Baked Haddock with Horseradish Topping – One last seafood recipe for this weeks Marathon week of recipes. This recipe looks really simple to make which is always a plus. 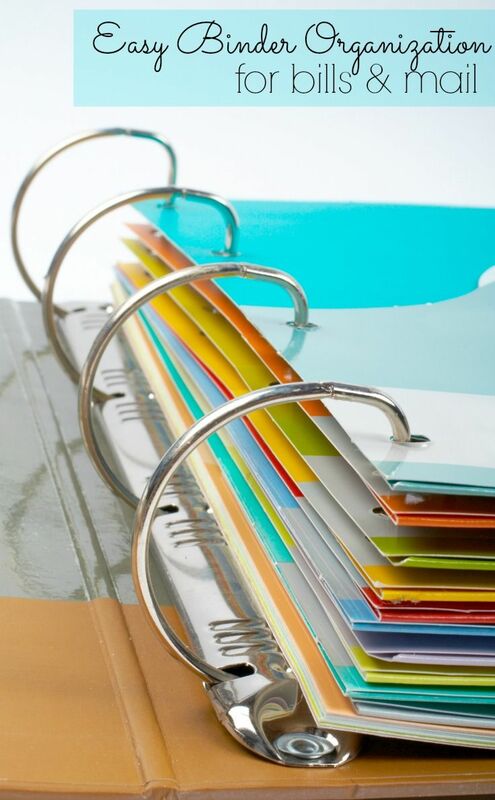 What recipes do you plan on making this week? 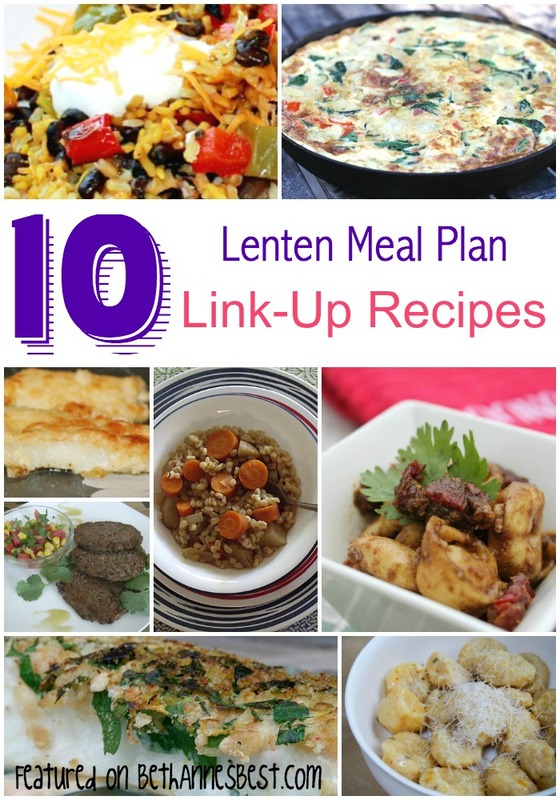 I hope you have a great start to the Lenten Season and that all the recipes and link-up help you this season. Link-up all your new and old recipes below!